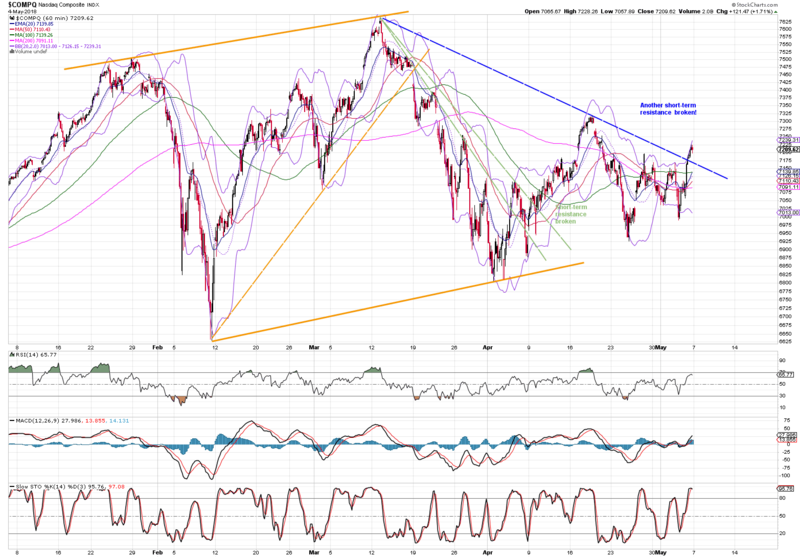 Last week did not move much the major financial markets keeping the indexes between their support and resistance levels. A super low unemployment of 3.9% reported last week adds a first positive element for the future rise of the US equities. The second positive element is that more than 80% of S&P companies reported their earnings – the strongest since 8 years ago. Generally speaking, a market review suggests a positive outlook for equities, while the breakout to continue a bull trend depends on technical properties of a stock market. In the previous market reviews, I have demonstrated how to trade Nasdaq’s short-term movements. The price moved fine after resistance pierces and some gains could have been recorded. The price reverted down to its support in a meantime and now the game continues. 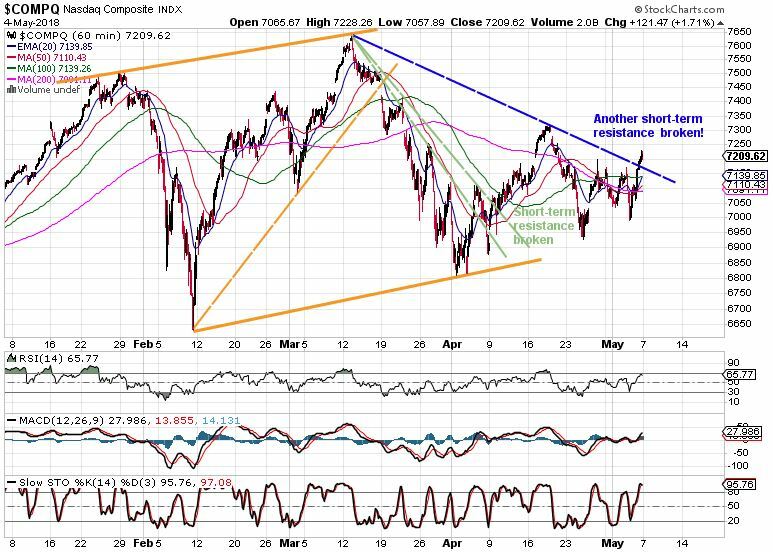 When looking below, the 60-minute chart depicts current consolidation channel (wide orange lines), broken support and resistance levels (dashed lines) and most important – current short-term resistance (blue dashed line). This was just broken on Friday which sparks another good opportunity for an upswing! 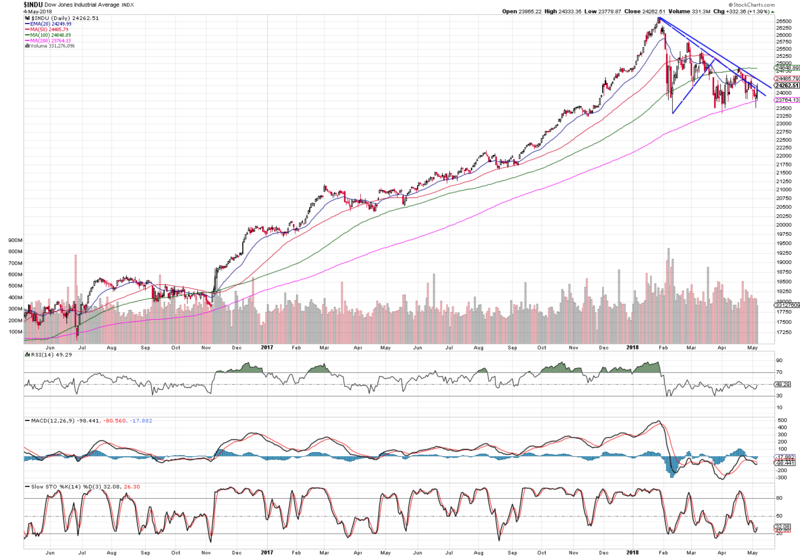 S&P is building a descending triangle pattern. We need to break the upper trend line to end this sideways trading. The index is moving between 100 and 200 SMAs. Nasdaq as top performing index has just sat on a 50 SMA. 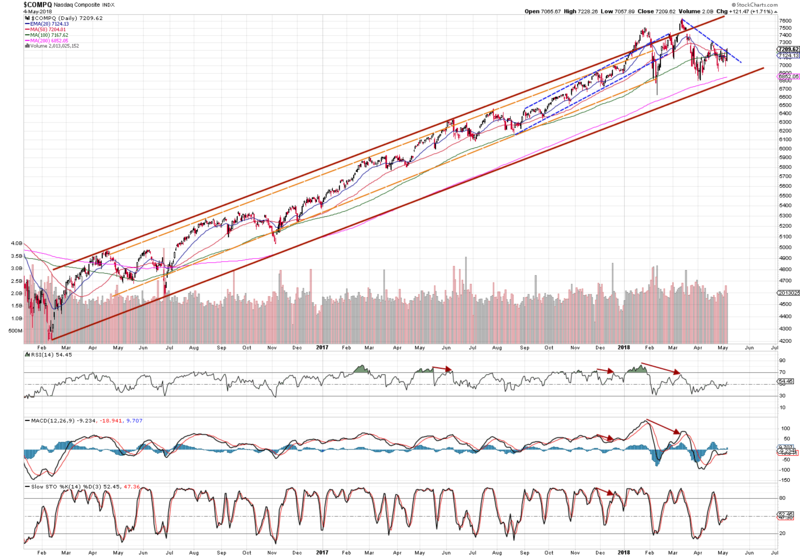 As discussed above, it has crossed the short-term resistance which signals further increases in the upcoming weeks. The UK’s stock market has been rising from the ashes in recent weeks. It has now hit on its resistance, so it may revert. Or NOT and if broken the index will just keep going – maybe running for new highs. Today’s market review suggests that both long-term and short-term investors should see the current situation as a good buying opportunity in the bulk of healthy stocks. The market is awaiting inflation results on Thursday which will be probably most watched event of the week. Stay disciplined and focused on big trend!